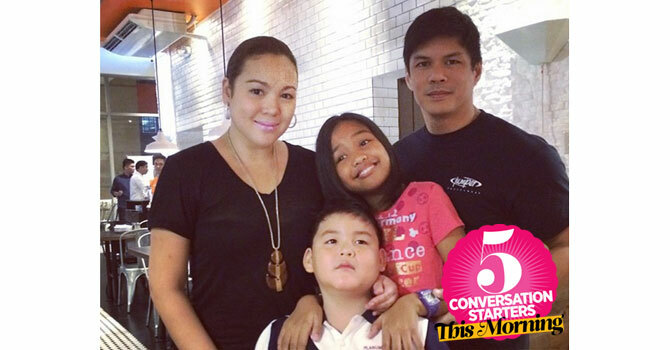 June 30, 2014 Conversation Starters: All's Well With Claudine Barretto And Raymart Santiago? + More! 3 Have you seen Kathryn Bernardo and Daniel Padilla’s new trailer for She’s Dating The Gangster? This makes us want to go back to the '90s and get kilig all over again in high school! Watch it below. 5 This is adorable. Check out these groomsmen dancing to Beyonce’s "Crazy In Love" and "Bootylicious" as a surprise to their buddy and his new bride!